Unlike the Men’s Basketball Final Four, we’re going to have some battle royales in the Turkey Sandwich Final Four. In our first National Semifinal, we have Mendelson’s of Denver, CO taking on Pat’s Philly Cheesesteaks also of Denver, CO. In the end, Mendelson’s noses out Pat’s because of their Turkey Sandwich selection. Pat’s is a strong competitor, but Mendelson’s goes to the final. In our second National Semifinal, Lori’s Boars Head Deli of Evergreen, CO takes on The Gristmill of New Braunfels, TX. 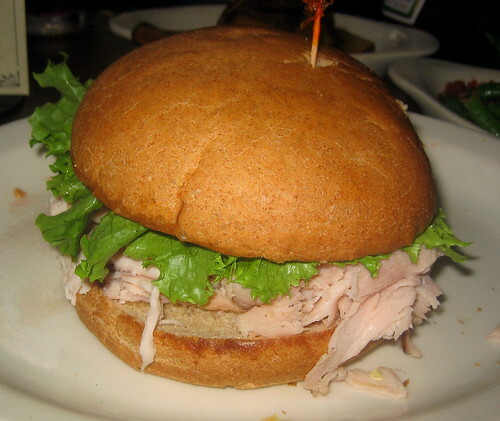 All of the Turkey Sandwich prognoticators were picking an all Boar’s Head Deli match-up in the finals, but in a huge upset, The Gristmill has defeated Lori’s. That sets up a Championship of Mendelson’s vs. The Gristmill. Colorado vs. Texas. Wow.